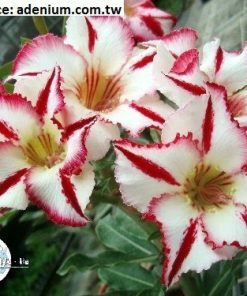 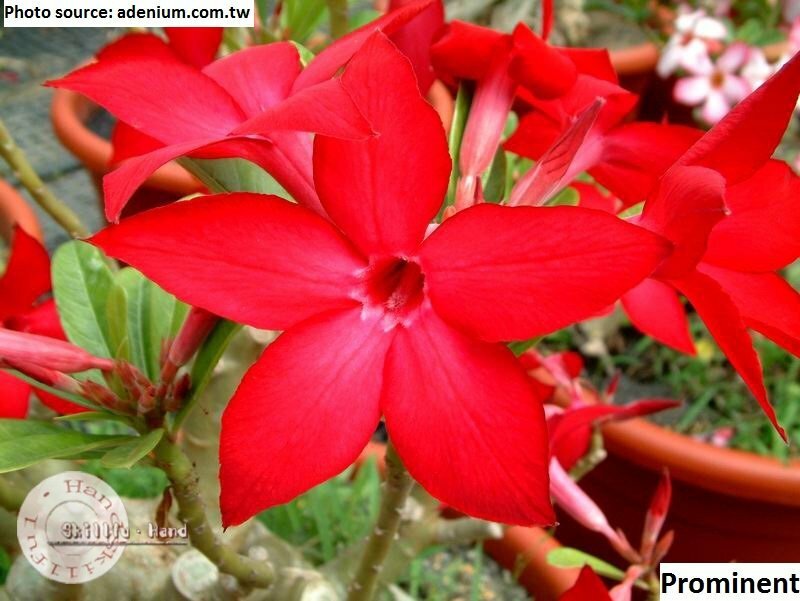 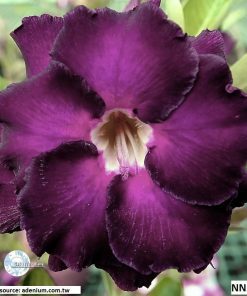 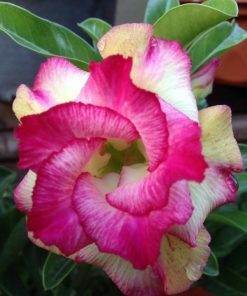 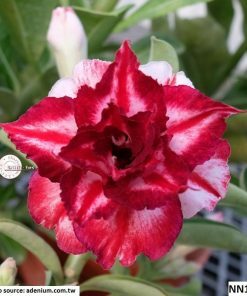 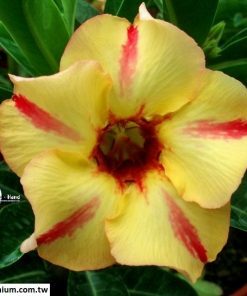 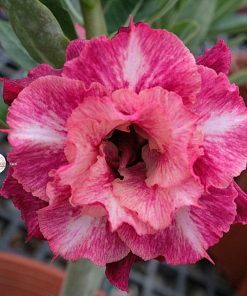 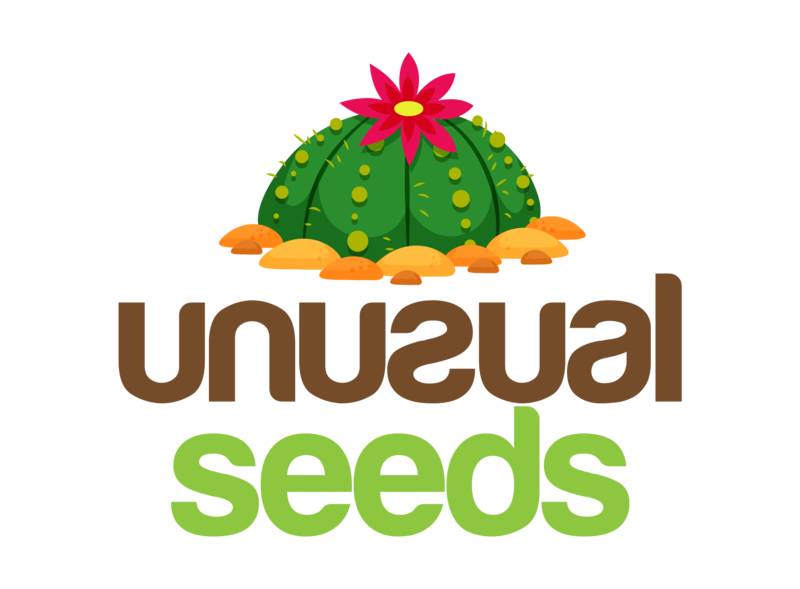 Adenium obesum is a succulent plant better known as Desert Rose. 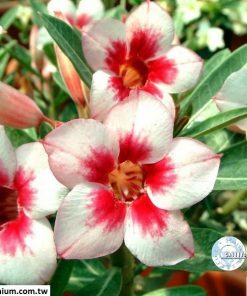 It is very easy to sow and grow and in a short period (2-3 years) it already gains nice bonsai shape. 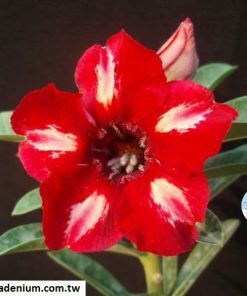 Also, with a bit of luck and a lot of sun it can flower in less than a year but most likely that you will wait 2-3 years for first blooming!